I’ve had so much fun making these little guys for The Preemie Project’s Boo in the NICU event. The charity is collecting all kinds of autumn, Halloween, and costume hats for the little ones in at the NICU in October. 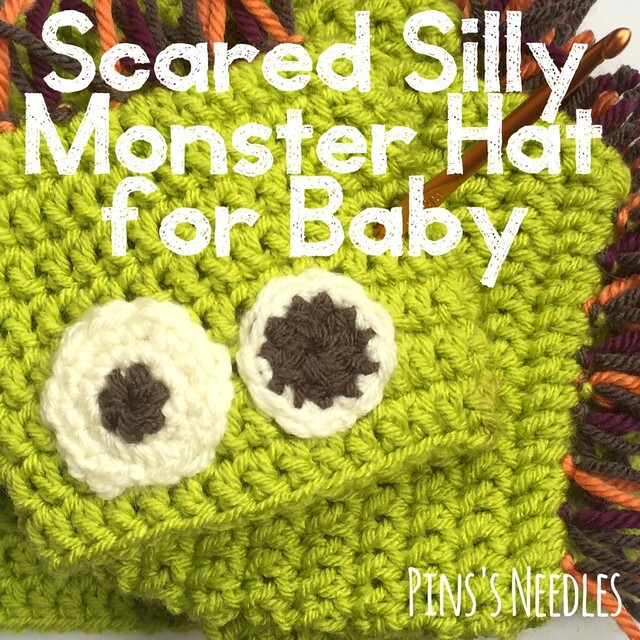 I much prefer silly over scary for Halloween, and these easy-to-crochet monsters are just right. Hat Instructions: Ch 15 (18, 20, 22, 48, 56). Turn. Round 1: Work 3 dc in 4th ch from hook. (Beginning ch counts as first dc, now and throughout). Dc in each ch across to last ch. Work 4 dc in last ch. Do not turn. Working in unworked loops of beginning ch, dc in each ch across. Sl st to top of first dc. 30 (36, 40, 44, 48, 56) stitches. Round 2: Ch 3. Dc in each dc around. Join with sl st to top of first dc. Repeat Round 2 until 8 (9, 10, 11, 12, 13) rounds total have been worked. Tie off. Weave in ends. Small Eye Instructions (Make 1. Same for all sizes.) 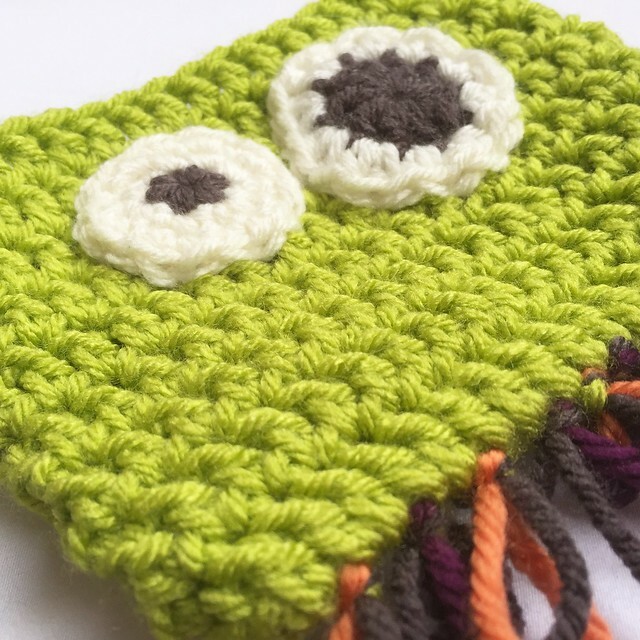 Begin with Magic Loop and ivory yarn. Work 6 sc into loop and pull tight. Round 1: Work 2 sc in each sc around. (12 sc) Round 2: *Sc in next sc, 2 sc in next sc* around. (18 sc) Sl st in next sc. Tie off, leaving long tail for sewing eyeball to hat. 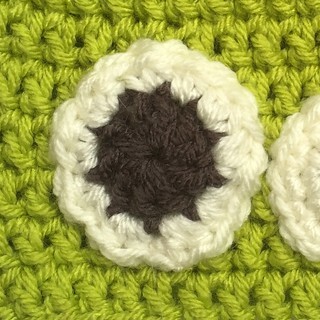 Use charcoal gray yarn to sew a lazy daisy stitch in the center of the eyeball. A “petal” should be worked between each 2-sc group of Round 1. 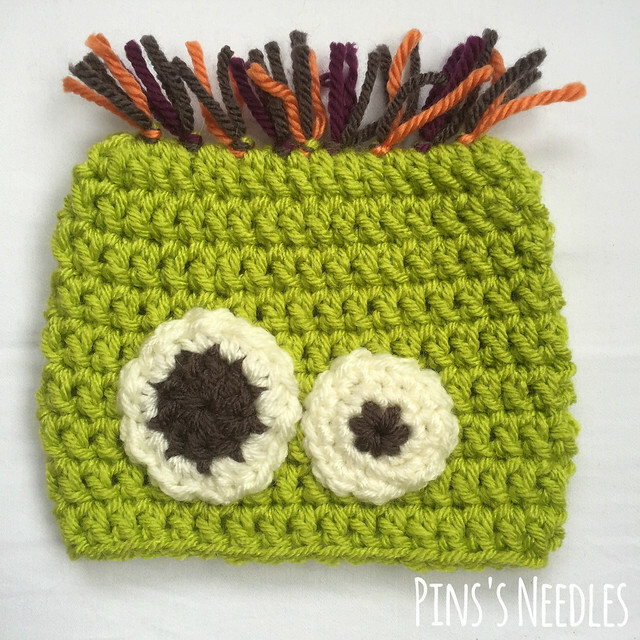 Large Eye Instructions (Make 1. Same for all sizes.) Begin with Magic Loop and charcoal yarn. Ch 3 (Beginning ch counts as first dc, now and throughout). 9 dc into ring. Join with sl st to first dc. Tie off. With ivory yarn, work 2 hdc in each dc around. Tie off, leaving long tail for sewing eyeball to hat. I’ll be donating the preemie-newborn sizes of these hats to The Preemie Project’s Boo in the NICU event. The larger sizes will be sent to Emily’s Hats for Hope. Please consider making a donation as well!